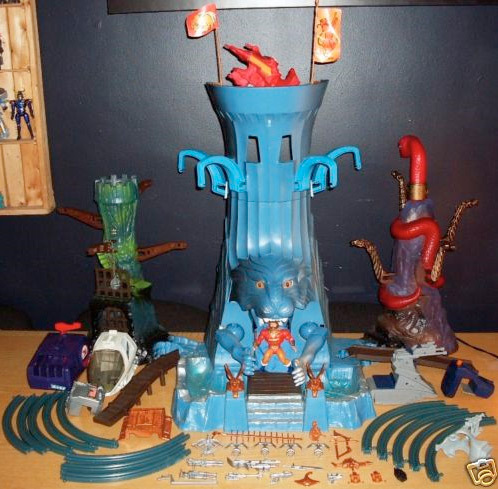 If there’s one thing that get’s Masters of the Universe fans salivating, it’s the Castle Eternia playset. This set is one of the most expensive and hardest to complete playsets for any line. Not only that, the pieces have not aged well and parts of it are extremely fragile, especially the tracks. So it’s nice to see a mostly complete set on Ebay in really good condition. 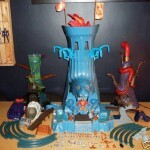 Today’s Featured Ebay Auction is for a He Man – Masters of the Universe – Castle Eternia Playset from seller toy-lords. The set is mostly intact, though the tracks have been glued to fix the expected damage. Why not check out more Masters of the Universe listings to find that last piece you may be looking for. You can click the thumbnail to see a larger image. This is pretty cool. I've never actually seen one before. How about a new version on Matty Collector? I'd buy that if shipping was reasonable. This one's a little out of my price range even before shipping.